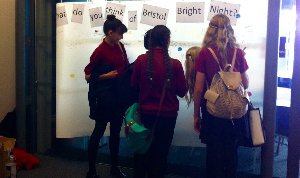 On Friday 25th September 2015 Bristol was one of the many European cities celebrating research and researchers. The European Researchers’ Night takes place every year, on the last Friday in September. The event is known locally as Bristol Bright Night and it’s jointly organised by UWE Bristol, the University of Bristol and the Bristol Natural History Consortium. Running for the second year, Bristol Bright Night offered an array of activities including talks, hands-on, debates, comedy and many others. Margarida Sardo from UWE Science Communication Unit was responsible for evaluating the event. The evaluation was designed to suit different venues and audiences. For this event the methods used included paper and online questionnaires (using an ipad didn’t work very well! 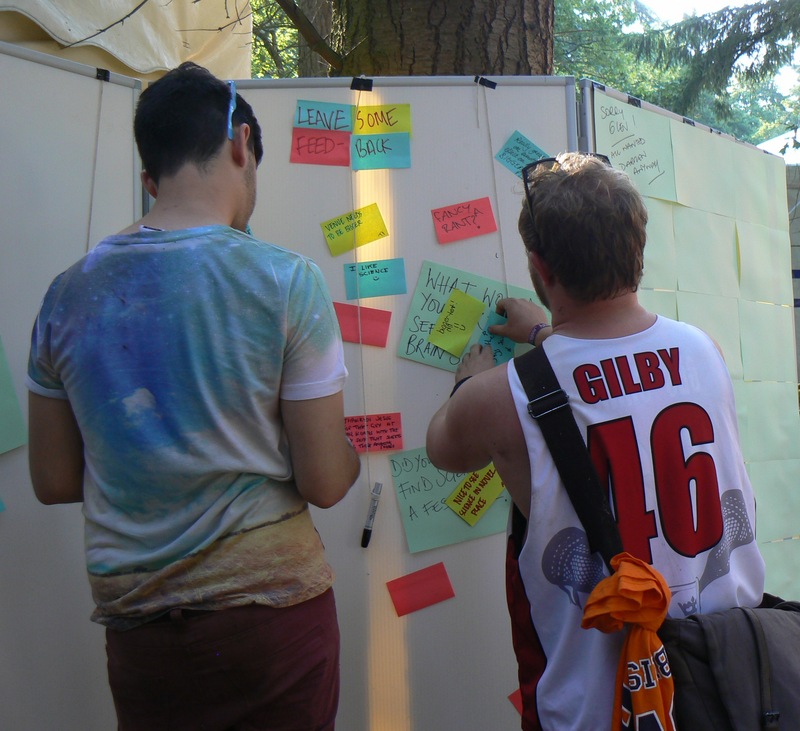 ), observations, a feedback wall – which was particularly popular with school children – and post-event interviews with researchers and organisers. For more photos from the event, go to the BNHC website. One of the nice things we’re able to do from time to time is offer our Masters students work experience on a public engagement project. For the last two years (2014 and 2015) Margarida Sardo and I have carried out an evaluation of a strand of activities sponsored by the Wellcome Trust at the annual Latitude Festival. 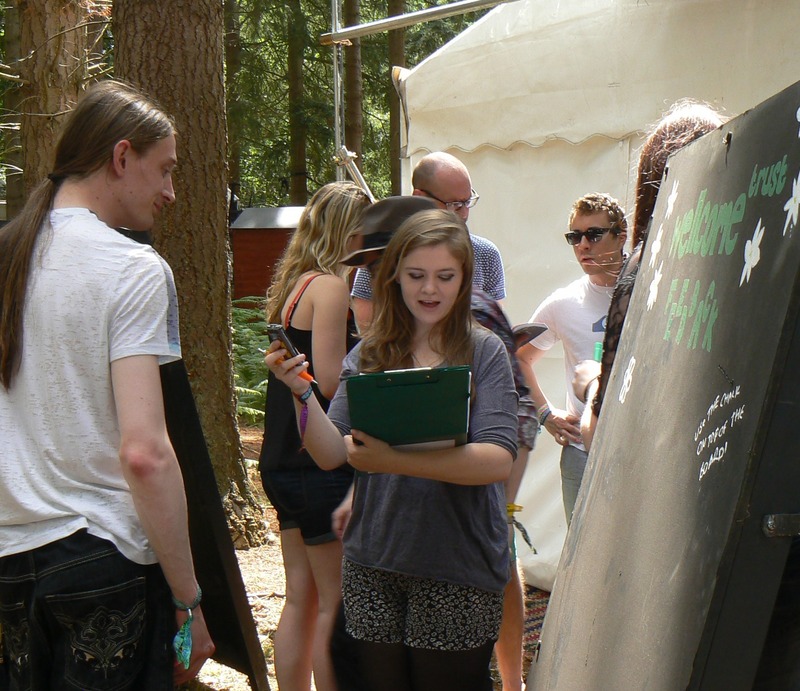 The Latitude Festival is a well-known and wide-ranging cultural festival, which includes comedy, music, theatre, literature, poetry, dance and more (think Glastonbury but with less mud and more writers!). 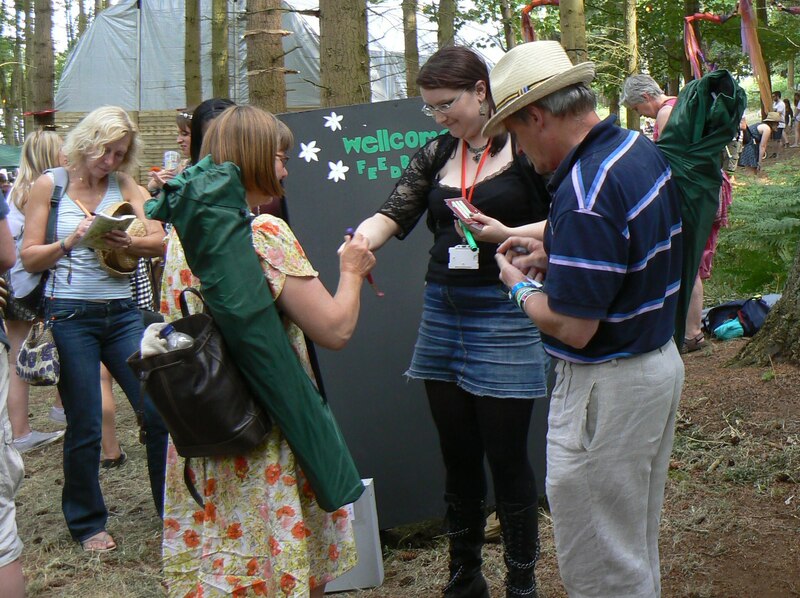 The Wellcome Trust events are also hugely varied, including poetry, music and theatre performances, presentations, discussions, dialogues and interactive events. Margarida designed the evaluation, including snapshot interviews with members of the audiences, informal feedback via comment cards, observations of events and interviews with presenters, while I led the evaluation at the festival. In both years, the students were chiefly responsible for carrying out the audience interviews and looking after the informal feedback, so it was an excellent opportunity to gain an understanding of what is involved in the evaluation of a live event as well as strengthen their communication skills. With around 26 events taking place in half a dozen locations around the three days of the Festival, the help and support of our students was absolutely invaluable in helping to collect as much data as possible. Between them, the 2015 team observed 14 full events, persuaded 45 people to be interviewed and got 192 people to complete a comment card! In return for students’ support, we offered a modest payment, subsistence expenses during the Festival and free transport to and from Suffolk. The students also had free tickets to the Festival, which gave them access to most of its 200 or so events. As most of the science events took place during the day, and the big comedy and music headliners were on late at night, the students got to see some really interesting stuff! You can find our report from the 2014 Festival on the UWE repository. And the hard work of the students is also contributing to two papers that Margarida and I are currently working on. Ann Grand and Margarida Sardo are research fellows in the Science Communication Unit.